In a normal world, that headline would seem insane. But in a world where a Deadpool 2 promotional blitz is in full swing, it’s just par for the course. 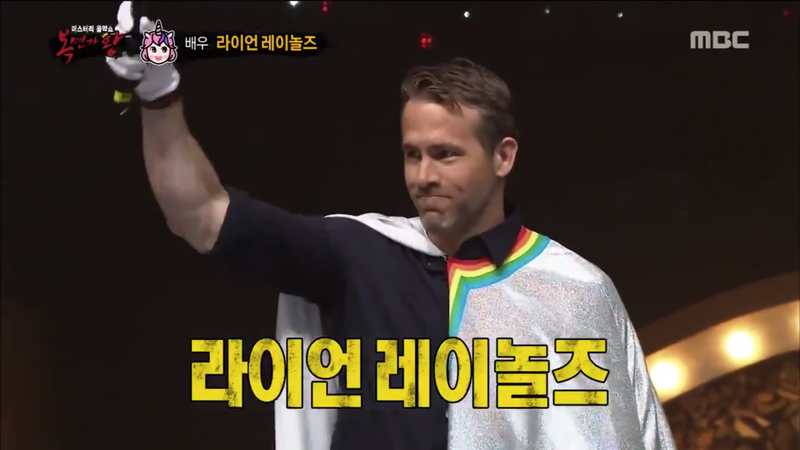 So, yes, as reported by Mashable, Ryan Reynolds recently appeared on a South Korean singing show wearing a unicorn mask and sparkling, rainbow-fringed cape, belting out “Tomorrow” from Annie. The whole scenario feels a bit like a dream, but also a bit like everything we’ve come to expect from Ryan Reynolds’ public persona and also reality television. The show, King Of Masked Singer, requires contestants to wear elaborate masks while performing to prevent any bias from the judges. Considering their reaction when Reynolds’ revealed his identity, it’s a good thing he was being judged on voice alone. In the brief, sound-effect heavy interview that followed, Reynolds’ apologized for his song of choice, claimed he’s wearing an adult diaper, and chastised one of the judges for thinking he might be Donald Trump under that glittery mask. Also, we learned that one of the judges is a big fan of Smokin’ Aces. So, that’s neat.